This app is a digital book based on an Academy Award-winning short film entitled The Fantastic Flying Books of Mr. Morris Lessmore. It’s a fabulous film that tells a mesmerizing story about the power of books—how we can give new life to old books by reading them, and they can, in turn, give life to us; how they can change our lives and help us write our own life story. The film comes bundled with the app, which is currently $4.99 (and a true bargain). The reader can interact with every page of the digital book. You can help Morris get lost in a book, spell with alphabet cereal, make books talk, and so many other cool events drawn from the film. As you read, a narrator reads the story to you, the text of which runs along the bottom of each page. My son and I sat down together and read it. He rarely comments on things we read, but he kept saying “Great!” as we were reading. Even though Dylan is verbal, he rarely talks (and when he does, it is often echolalia rather than a direct response), and it is unusual for him to make any remarks at all when he’s engaged in activity like using an iPad app, but he simply loved this one. It didn’t take him long before he was touching everything on the screen to see what it would do. In addition to dramatic readings, both apps include the complete text for a new multimedia reading experience, as well as also includes commentary and notes to help readers understand the text and make connections. For the kind of experience you get with these apps, the prices really can’t be beat, especially if you consider that a good paperback copy of either The Waste Land or Shakespeare’s Sonnets, complete with annotations (never mind the media) would probably run at least $13.99. 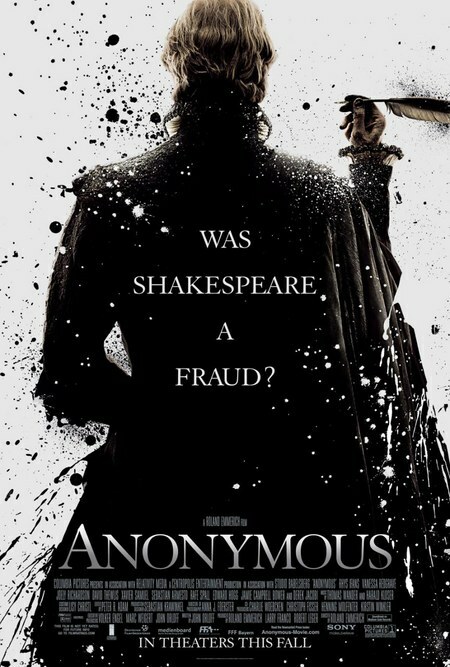 In the interest of full disclosure, I should begin by saying I have not seen Anonymous. I don’t need to; its arguments are familiar to me. This blog post is not a review of the movie or even an attack. 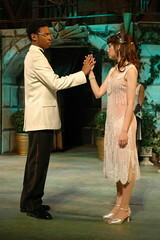 It’s more of a treatise on why we should view its historicity and arguments with a skeptical eye and why, in my opinion, English teachers should not be encouraged to introduce it into debate about Shakespeare scholarship in their class discussions, as Young Minds Inspired has created teaching materials for high school and college that the film’s producers hope English teachers will use. 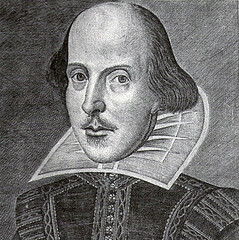 First, many Shakespeare conspiracy theorists, whether they support Oxford (current contemporary favorite) or Bacon or Marlowe or any of the other candidates that have been proposed as the “real” Shakespeare, often paint those who believe Shakespeare wrote Shakespeare as defensive and inflexible regarding opening up the authorship question for debate. If Stratfordians, as proponents of the argument that Shakespeare wrote Shakespeare are called, are defensive and inflexible it is because the bulk of rational and historical evidence heavily supports their view, yet conspiracy theorists are unswayed by this rational, historical evidence. Many Stratfordians refuse to engage in the debate because the Oxfordians typically present evidence that is taken out of context, distorted, or just incorrect. People are invested in their pet conspiracy theories, and they often won’t listen to the arguments proposed against them. On the other hand, I have seen some Stratfordians engage seriously in answering the arguments Oxfordians list as evidence for the correctness of their point of view, explaining why and how the arguments fail, only to be met with ad hominem attacks on their open-mindedness and a refusal to debate the matter further (take a look at the comments in the linked post). However, that is not to say that the people who believe that Shakespeare did not write Shakespeare are in any way foolish, unintelligent, uninformed, or even not perfectly serious. It must be said that they are not, however, professional Shakespeare scholars, who by and large do not question Shakespeare’s authorship. Shakespeare scholar James Shapiro was one of the first to examine the authorship question and its history in his wonderful book, Contested Will: Who Wrote Shakespeare?. I can’t recommend the book highly enough if you have even a passing interest in Shakespeare and especially if you teach Shakespeare. He mentions early in the book that other Shakespeare scholars tried to convince him not to take on the authorship question mainly because they felt giving the argument serious air would have the side effect of giving it legitimacy. They have a point. This movie is sure to bring up the debate in our schools as our students are often avid moviegoers. Shapiro, however, felt that the time was right for a Shakespeare scholar to explain why Shakespeare scholars believe Shakespeare wrote Shakespeare. The chief argument that anti-Stratfordians make is that Shakespeare was born from humble means and did not have the right education in order to have been able to write the plays he wrote. However, Shakepeare’s “inferior” education at the grammar school in Stratford, which many anti-Stratfordians seem to think was akin to an average modern elementary education, included classical studies in Ovid, Cicero, Plautus, Terence, Virgil, and Erasmus—in Latin—all of which Shakespeare would have studied by the age of 13. One cannot argue he did not receive an education that could inspire the works he wrote. By the way, Ben Jonson’s father was a bricklayer, and Jonson also didn’t go to university, but no one questions the authorship of his plays or poems. Interestingly enough, Shakespeare makes some errors in his plays that one would not expect a Cambridge-educated man like Oxford to make: anachronistic references to clocks (Julius Caesar) and a description of Bohemia as a landlocked desert by the sea (A Winter’s Tale). Another argument I see many Oxfordians make is that such intelligent luminaries as Mark Twain, Derek Jacobi, John Paul Stevens, Antonin Scalia, Sigmund Freud, and many others of equal talent all believed that someone other than Shakespeare—probably Oxford, but certainly not Shakespeare—wrote the plays attributed to him. This is a poor argument. Lots of people believe lots of things and the relative fame, talent, or intelligence of those who believe those things should not make them more or less true unless they are backed up also by evidence. Presenting this list as evidence itself is not evidence. It’s just a way of pointing out that one’s company isn’t completely made up of strange people in tinfoil hats. To encourage critical thinking by challenging students to examine the theories about the authorship of Shakespeare’s works and to formulate their own opinions. To strengthen students’ communication skills through classroom discussion and debate. To engage students in creative writing exercises. PART A: WHAT DO YOU THINK? Are Shakespeare’s plays the work of a highly educated writer with firsthand experience of aristocracy? Or could they be the work of an author with exceptional creative talent and observational skills who borrowed from learned books to enhance his own writing? Divide your class into two teams, the Upstart Crows and the Reasonable Doubters, to weigh the question: Was William Shakespeare really an improbable genius, or just a front man for someone with real ability? Use the information on this sheet to research the theory that William Shakespeare of Stratford-upon-Avon was not the author of the “Shakespeare” plays. Then write a persuasive essay supporting your position. Based on this short sketch of Edward de Vere and your knowledge of Shakespeare’s plays, what are the arguments pro and con that de Vere was the true author of the plays? Compare ideas, weigh the evidence, and come to a consensus. Then imagine that de Vere really was the true author. Should he have remained anonymous? Should Shakespeare have taken credit for his plays? Shakespeare was a gifted genius. What these activities are really going to teach kids is that people like Shakespeare are only possible if they are born into privilege and receive an education at a prestigious institution like Oxford or Cambridge (or Harvard or Yale… you get the picture). And what is also lost in these assignments is an appreciation for Shakespeare’s writing—the words, the phrases, the stories—which is traded off for a sexier debate about whether Shakespeare really wrote Shakespeare. What a crime. My British Literature and Compositions are going to study the sonnet next week, and my department chair and I collaborated on a SMARTBoard Notebook file. I do not think she would mind if I shared our work here, and a couple of people have expressed interested after I sent messages to Twitter and Facebook about it. So, here is the file. If someone could download it and let me know if the embedded videos are all intact, that would be great. I love YouTube, but our connection at school is shaky when so many people are logged on to our network, so I have taken to embedding these videos in the Notebook files. It’s also nice not to have to switch programs to show different media. Download the Sonnet Notebook file. Our goal is to ask students to memorize and perform a sonnet. I like Matthew Macfadyen’s interpretation of Sonnet 29 by Shakespeare that’s embedded in the file. 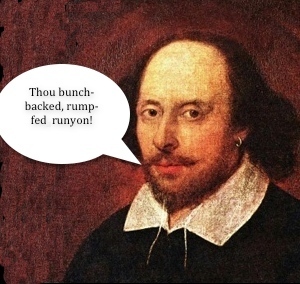 One of my favorite stand-by fun lessons is to allow students to create Shakespearean insults. The Folger Library’s Shakespeare Set Free series volume with lessons on Romeo and Juliet has a handout I’ve used since 1997, when I first taught the play, to create insults. Though I consider myself fairly technologically savvy, I found out today the handout may almost be obsolete. Within moments of my introducing the assignment, my students were happily mixing and matching words to create insults and hurling them at each other (without my prompting, even). I have only two copies of C.T. Onion’s glossary left (I used to have five; what happened to them? ), so we were trying to share, when I remembered the Shakespeare Pro app on my iPhone has a glossary based on David and Ben Crystal’s Shakespeare’s Words, so we added my iPhone into the mix, and before long, I was telling students about the app and suggesting that if they had iPod Touches or iPhones, they might like to talk their parents into letting them purchase the app. Within moments, one of my students with an iPod Touch found a Shakespearean Insult generator (iTunes link) app and had downloaded it. He showed me some more apps, including this one (iTunes link), which looks similar to what I was asking students to do today. Several students had their iPods and iPhones out, checking out Shakespeare, and one of my quieter students pointed out to her classmates that they could download the text of Romeo and Juliet (iTunes link) as an app. One student asked excitedly if they downloaded the app, could they ditch their heavy books? I said sure, as long as they wouldn’t have trouble finding their place, and I pointed out that in fact, one of my eleventh graders did just that last semester when his class studied Macbeth. All of this might sound really obvious in schools where technology is wholeheartedly embraced, but it was interesting for me to watch the students using these tools to study a text I studied in high school. I remarked to my department chair the other day that I wished we could forego books if we wanted and allow students to download their books, including those fat, expensive anthologies, onto a Kindle or iPhone/iPod Touch using a Kindle app. Think about how much less it would weigh, not to mention texts can be more interactive, and students can annotate them and keep them.